Just like fashion, what is old is new. Devault Foods has been behind the scenes but ahead of taste when it comes to the trend to blend. Devault, Pennsylvania, July 11, 2017	(Newswire.com) - The food service industry has been historically focused on taste preferences and dining traditions. In more recent years, the industry has looked at how taste and food preferences are affected by health, lifestyle and environmental trends. A sign of the changing times is that the industry- including all size venues, formats, and price-points – is looking for healthy, sustainable and delicious tastes while curating menus and snack options. Five years ago, the Culinary Institute of America and Harvard University Chan School of Public Health launched a partnership to look at both nutritional and environmental influences on culinary sciences. This partnership hopes to inspire the food service industry to embrace more ‘plant-forward’ menus. Specifically, they hope chefs and restaurant operators will increase the use of produce, plant proteins and other plant-based flavors in their menus. 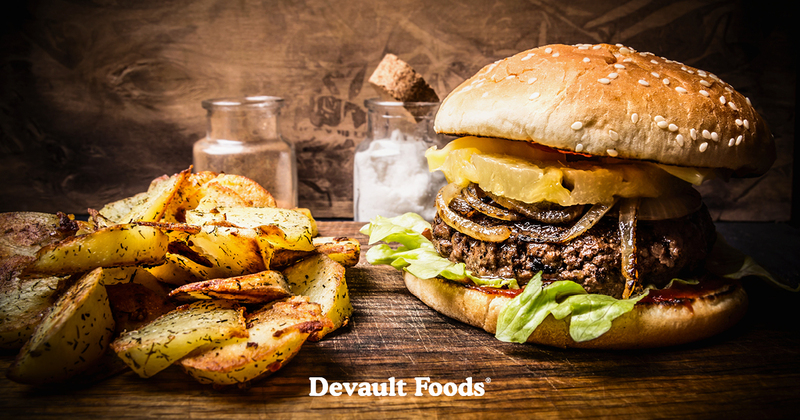 As the industry looks for plant-forward dining options, Devault Foods has added a proprietary mushroom-beef blend to the Company’s Signature Burger product line. “We embrace the industry’s goal to find healthy, sustainable and delicious food options regardless of the restaurant’s size or format.” continues Black.